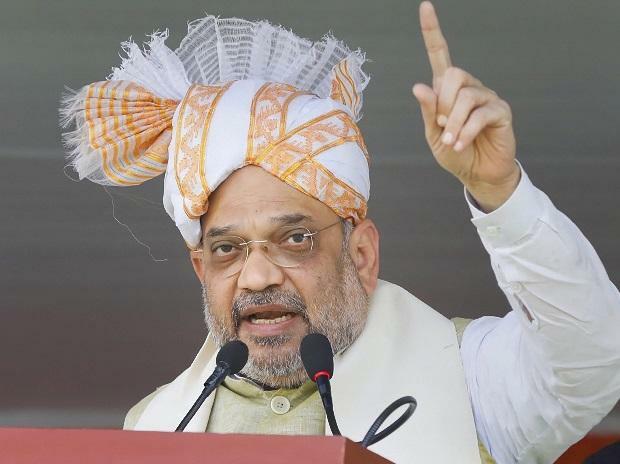 BJP President Amit Shah on Saturday accused the Opposition of treating illegal immigrants as a vote bank and being soft on terrorists. He made the remarks while addressing ‘Vijay Sankalp’ (victory pledge) rallies in Badaun and Shahjahanpur districts of Uttar Pradesh. “The BJP wants to take the intruders out (of the country), but the BSP-SP and the Congress do not want this as they consider them their vote bank,” Shah said. Shah alleged that during the Congress’ 10-year tenure, no action was taken even when terrorists took away heads of Indian soldiers.